Shok'lar flown off KIS Shiraak, Teragon System circa 2669 (larger). 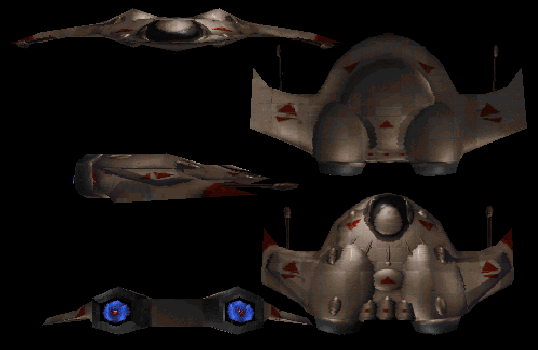 The Shok'lar is a Kilrathi stealth fighter which entered service in early 2669. The KIS Shiraak operated a Shok'lar squadron during its running battle against the TCS Lexington. Admiral Nik'Ras' separatist group also flew the fighters during his coup attempt.